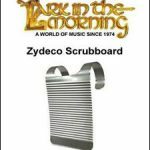 Released by Lark In the Morning, Jemmy Bluestein’s Rub Board or Scrubboard Video starts basic enough for the total beginner, but is challenging enough for the experienced percussionist. 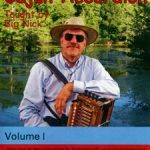 Included are: background information, basic rhythm concepts, identifying downbeat and backbeat, playing downbeat and backbeat in opposition with backbeat accent, basic zydeco rhythm (running 16th notes, right hand), double-backbeat rhythm, double-skip downbeat, syncopated downbeat, polyrhythms, waltz time (3/4), suggestions on style and musical sensitivity. 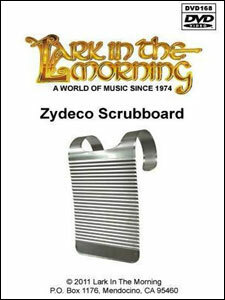 Features: zydeco band soundtrack, practice sessions, consisting of musical selections performed by Bad Boys Zydeco with simultaneously guided scrubboard instruction covering all lessons.